You’ve seen her cheerful smile at the service desk since September 2017, and earlier this year, Caroline Sipio accepted the position of access and collections coordinator. 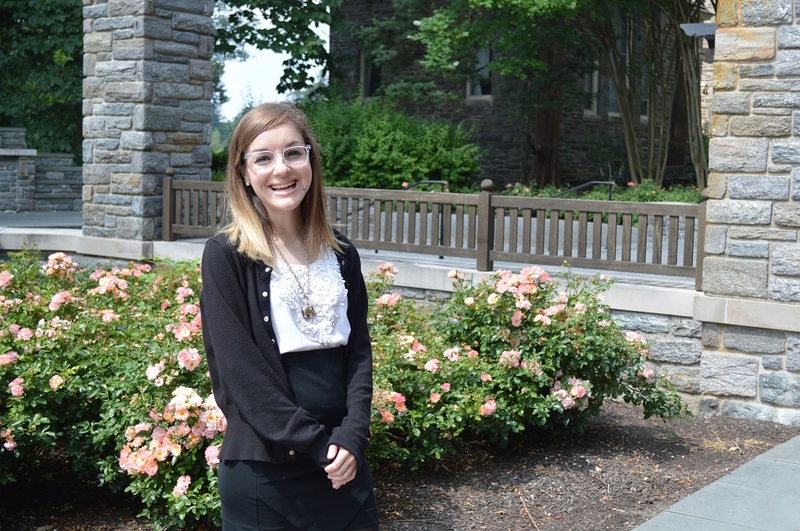 Sipio came to Falvey Memorial Library last year, working as a temporary employee in the Access Services Department. She assisted with resource sharing and stacks maintenance. 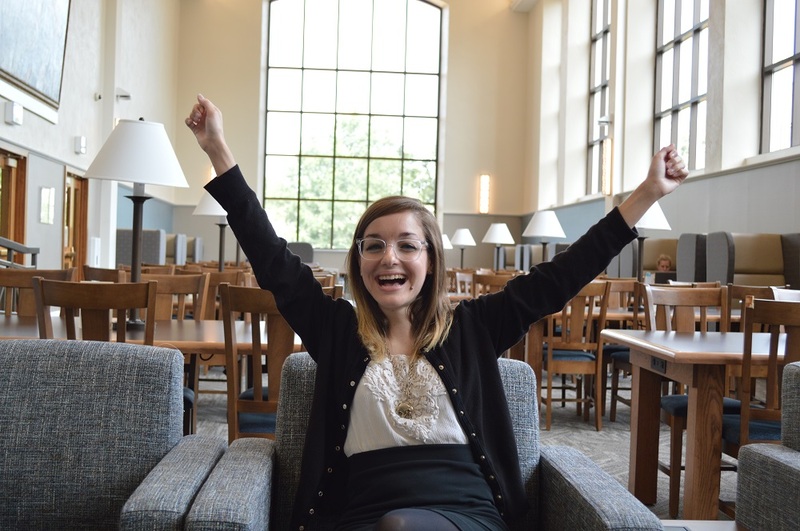 In her new role, she continues to assist with resource sharing, which includes helping process Interlibrary Loan and E-ZBorrow requests for patrons. Sipio also helps manage student workers who assist Access Services with these materials. You will also find her working at the service desk and in the stacks. A native of Yardley, Pennsylvania, Sipio earned a Bachelor of Arts degree in English from Saint Joseph’s University. 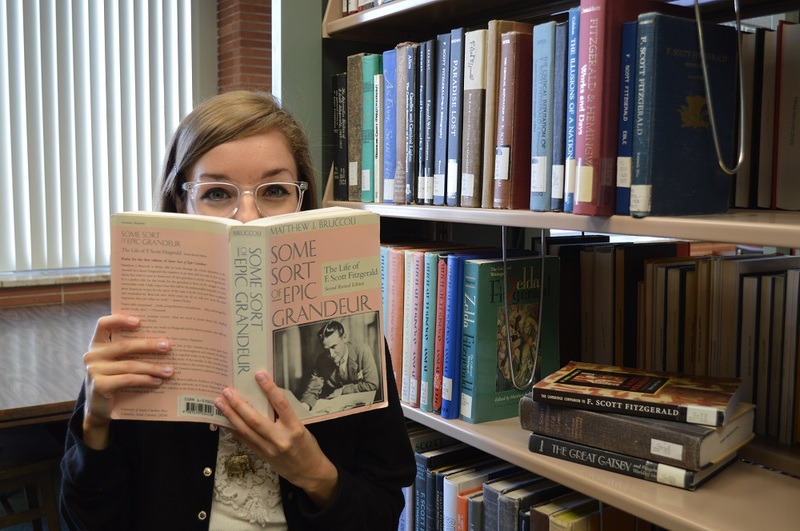 “While I was there, I was able to explore my ardent interest in Fitzgerald and was inspired to continue studying literature in graduate school” Sipio says. She earned a Master of Arts degree in English from Boston College, where she worked as a teaching assistant, a writing fellow and employee at The Thomas P. O’Neill, Jr. Library. Sipio’s office is located behind the Service Desk on Falvey’s first floor, (610) 519-4274. Email: caroline.sipio@villanova.edu. We are happy to have you working with us at Falvey, Caroline!